It's been more than seven years since Steven Stone reviewed the Fanfare FT-1 FM tuner in the June 1994 Stereophile (Vol.17 No.6). Then priced at $1395, the FT-1 offered transparent sound quality, top RF performance, and great ergonomics, all in a unit with full remote control. With strong-signal stations, the FT-1 was the sonic equal of SS's reference tuner, the Magnum Dynalab Etude. SS said, "I strongly believe that the Fanfare FT-1 deserves not only Class A status, but the bargain '$$$' as well....with the Fanfare FT-1 tuner, your FM source might be the least-expensive Class A input in your system." When an FT-1 on loan to me equaled the station-count performance of my own reference tuner, the $5500 Day-Sequerra FM Reference Classic, I supported SS's observations. In the intervening years, other tuners have shared Stereophile's "Recommended Components" limelight with the FT-1. The Magnum Dynalab MD 108 ($5850) scored points with Don Scott (in May 1997, Vol.20 No.5) for its take-no-prisoners RF sensitivity and selectivity, as well as the audio quality of its balanced outputs. But while it cost four times as much as the Fanfare, it did not offer the FT-1's remote-control feature. The slightly less expensive Myryad MT 100 ($1095) offers remote control and uncolored sound, but its good but not outstanding RF performance meant it would be best used in the urban environments where most FM listeners live. This left the Fanfare FT-1 in the enviable position of being the least expensive remote-controlled FM tuner listed in Class A of "Recommended Components." The FT-1's dominance lasted only until October 1999, when it was deleted from our listings because it had not been "auditioned in too long a time to be sure of its rating." Now Fanfare has introduced a new version of the FT-1, the FT-1A, available at 20 dealers across the US for a suggested retail price of $1595. The FT-1A looks exactly the same as the FT-1, except that its control buttons are round, not square. The FT-1A scans up and down in frequency when tuning (the FT-1 scanned only up), and you don't have to leave Stereo mode to scan. The dedicated Scan function moves the tuner to the next successive station with a received signal of at least 50dBf, whether in mono or stereo. Gone are the FT-1's Set and DX buttons. The DX mode gave 18dB attenuation when off, to protect the FT-1's front-end from RF overload. The FT-1A's circuit board uses more reliable surface-mount technology (SMT) components and the circuit features a designated UNISET frequency-control system, based on a firmware microchip that allows for easy updates in the field. 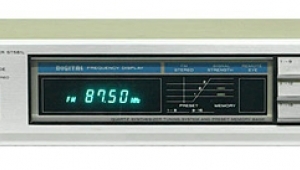 Like the FT-1, the Fanfare FT-1A is an analog-tuned FM stereo receiver with digital frequency display and a choice of wide or narrow IF bandwidths. Tuning is carried out using the digital counter in 50kHz increments. The tuner's infrared remote control mirrors all front-panel functions. It has eight presets with Uniset programming control. I didn't miss a rotary control knob; the Up/Down manual tuning operated quickly and precisely in 50kHz steps. The FT-1A has a fluorescent display for frequency—I could read a station's frequency and strength from my listening chair, 10' away. The internal components are upgradeable to the FTA-100 version, which includes AMAX AM-stereo reception. The chassis is built of 16-gauge steel to provide maximum RF shielding, and is available in 19" EIA rack-mount width or in a narrower 17" consumer version. The rated sensitivity remains excellent, requiring 15dBf in mono and 32dBf in stereo for 50dB quieting. Selectivity is rated at a very respectable 75dB alternative channel, 25dB adjacent channel (Narrow mode). The capture ratio remains 1.5dB. The FT-1A also has balanced outputs, an option seen only on expensive audiophile tuners such as the Magnum Dynalab MD-202 and MD-208. The Fanfare has two unbalanced output options, including two marked "HI" for line-level audio output, and two marked "LO," which provide an unamplified, low-impedance audio signal direct from the tuner's multiplex filter. There is also a composite output for use primarily in an FM broadcast setup. Its output is adjustable from 2.5 to 4.5V (peak-peak), which is sufficient to drive most modulation monitors or FM exciters. Given the FT-1's combination of excellent price point and top performance, these changes made for the FT-1A merited a serious re-auditioning. I was eager to see if the upgrades had actually improved on the FT-1's RF and/or audio performance. My review system consisted of a Krell KCT and FPB 600c power amplifier, Dynaudio Evidence Temptation loudspeakers, and PSC Pristine R-50 biwire double-ribbon speaker cables. FM signals were received by a high-gain (12.5dB greater than a dipole), nine-element Channel Master Stereo Probe 9 Yagi antenna, its rotor mounted to my chimney about 25' above the ground. For this review the antenna was pointed south, toward New York City, so I could try to receive weak signals from New Jersey stations adjacent to very strong Manhattan transmitters. Balanced interconnects included Madrigal and Cogelco Yellow from tuners to preamp. I found that the balanced outputs of both tuners matched closely in gain. I used Krell's CAST technology interconnects from preamp to power amp. 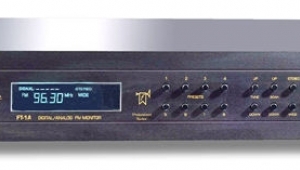 Comparisons were made to my analog-tuned, $5500 Day-Sequerra FM Reference Classic tuner (see my Follow-Up in the January 1998 issue), now discontinued. A single Mini-Circuits ZFSC-2-1 precision signal splitter connected to my rooftop antenna split the resulting signal to two output coaxial cables (two 8' lengths of RG-59U attached to the antenna inputs of the two tuners). The signal splitter has an insertion loss of 3dB, and the cable connectors reduce the level by an additional 2dB, for a total loss of 5dB. This results in fewer stations being received; the actual number cited here of stations received by either tuner is a conservative underestimate. However, as each tuner received the same attenuated signal, comparisons using the outside antenna should still be meaningful. I took care to tune both tuners to the same frequency; if one tuner was left tuned to an alternate frequency, it was very easy to "pick up" that tuner's oscillator when the two units were exactly 10.7MHz apart (10.7MHz is the IF frequency). The tuners' audio outputs were matched in level. The Day-Sequerra FM Reference pulled in 56 stations with the antenna left pointing southwest, toward the Empire State Building. (I didn't log in the full 200 stations Don Scott pulled in from his home in Connecticut because I didn't rotate my antenna.) The Fanfare FT-1A was able to tune in all but one of the stations picked up by the FM Reference. The weakest signals picked up by the FT-1A—those that lit up only one bar on the FT-1A's display—gave a 15dBf reading on the FM Reference's 'scope grid. Both tuners pulled in adjacent-channel stations whose signals were in the 20-30dBf range. Of the stations received with my rooftop antenna, 20 produced strong, multipath-free signals that produced !w50dB quieting in the FT-1A. Of the eight best stations, two were classical stations, including WQXR (96.3) and WNYC (93.9), while WQCD (101.9) played jazz. The remaining sources played alternative rock (WXRX, 92.3), progressive rock (WLIR, 92.7), classic rock (WAXQ, 104.3), multi-ethnic/reggae (WNWK, 105.9), and easy listening (WLTW,106.7). These stations produced static-free signals against a silent background. The bass responses of the FM Reference and FT-1A had exceptional punch and solidity. As always, listening to orchestral music on WQXR made each tuner's transparency immediately apparent. However, the FT-1A's remote control made it much easier to use than the FM Reference. The Fanfare FT-1A FM tuner is a winner. It yielded even better ergonomic operation than the Fanfare FT-1, with quicker tuning and a front-end better able to handle strong urban RF and noise. The combination of improved RF performance with only a $200 increase in price makes the FT-1A an outstanding value in audiophile-grade FM stereo tuners. Best of all, the FT-1A gave up none of the FT-1's strengths, including excellent sensitivity, good quieting, and thoroughly musical sound. And it handled multipath as gracefully as did the Day-Sequerra FM Reference. Still, what does four times the price get you? Unlike the FT-1A, the FM Reference's 'scope permits precise center-tuning of FM stations, and its manual rotary tuning lets you tune in finer increments than the FT-1A's 50kHz steps. 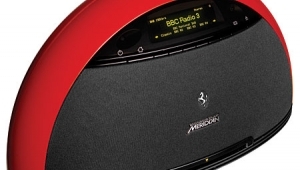 On a handful of stations, the FM Reference was more transparent, with deeper bass response. But the Day-Sequerra is no longer made. I use FM Broadcast transmitter sometimes while i get bored to listen to the music. But Mostly,FM in my city is used during Christmas.